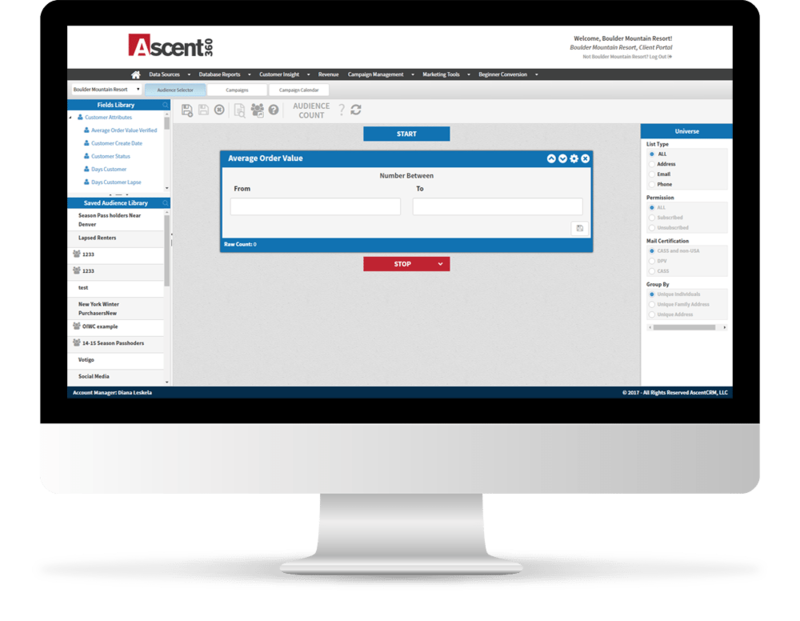 At Ascent360, our mission is simple; to help companies realize greater value from their customer data leading to increased revenue. We integrate silos of customer data into a single marketing database to deliver customer insight and help you execute the best marketing strategies. Working with industry leading clients in the Retail, Brand, Resort, and Event verticals, we help analyze, plan and execute marketing campaigns through digital and direct channels such as email, direct mail, social, and text. Marketing Segmentation: our drag and drop segmentation tool allows you to quickly and easily create audiences based on a variety of attributes, including but not limited to demographic, geographic and purchase behavior. Marketing Automation: Bring your customer segments to life while alleviating manual marketing efforts to more effectively reach your audiences on an ongoing basis. 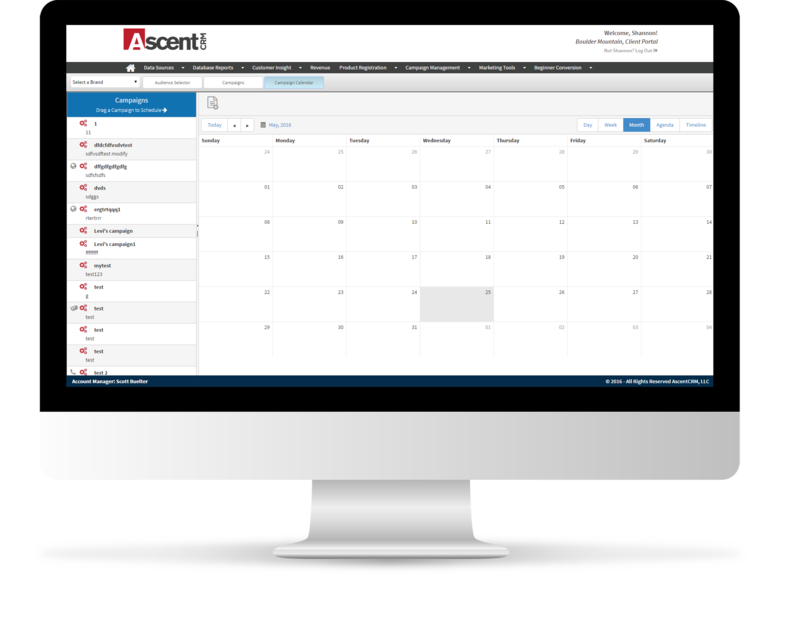 Execute, manage and measure your automated campaigns from a single access point. 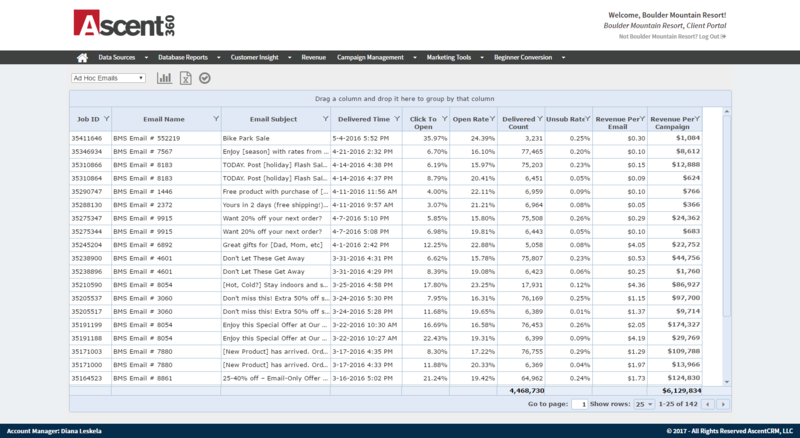 Revenue Attribution: Do you know how much revenue is driven from your company’s marketing campaigns? Our software can attribute online and offline revenue to email, direct mail and digital marketing campaigns through a transactional matchback algorithm. Customer Analytics and Reporting: Our software creates a robust profile of each of your customers and the overall customer base. Over 50 customer-specific variables are created to enable quick and easy marketing segmentation along with a business intelligence tool to enable the creation of custom report and metrics. The latest press releases, blog posts, and case studies to learn about the benefits of a CDP and how to drive revenue from your data.